The appearance of your building says a lot about your business. 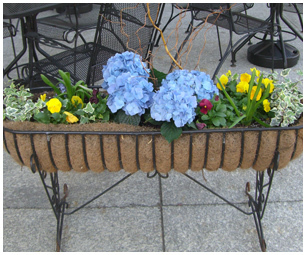 Our goal is to create the best first impression using plants and containers throughout MA and RI. Our exterior landscapes set the tone for your business, make a statement, convey your corporate culture and complement the style of the building. From the subtle to the dramatic, Plantasia Interiors installs a wide variety of knock-out plant combinations for year-round appeal. Our experience designing with tropicals, exotic species and indigenous plants are just some of the ways we can create a unique look for your entrance way or courtyard in RI or MA. 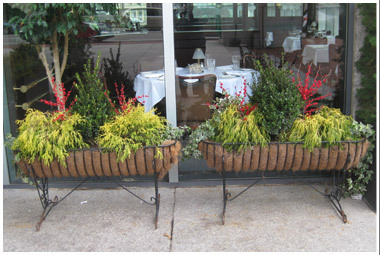 With seasonal accent pieces and trend-setting containers in every shape, size and color, the possibilities are endless. 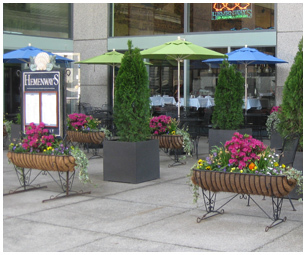 Skillfully designed exterior landscapes can soften the lines of a building or artfully manage pedestrian traffic into an entranceway. Whether you’re located in an urban setting or suburban office park, our experienced designers can transform your site’s exterior into a statement about your business. What does the exterior of your building say about your business?